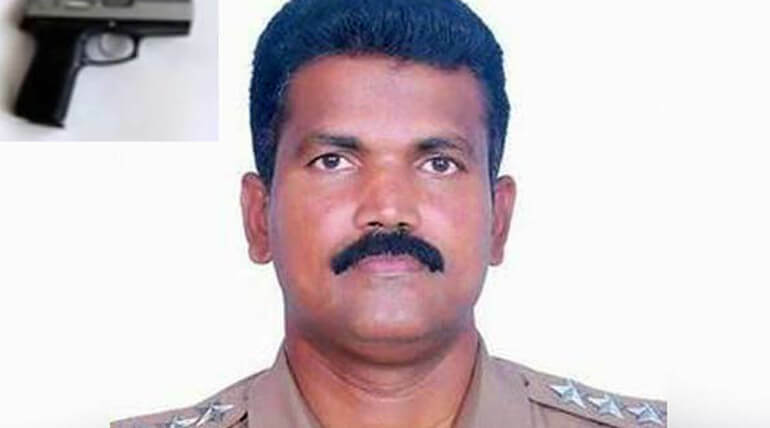 Inspector Periyapandiyan was shot death during nabbing of the criminal at the spot in Rajasthan few days before. But there were lots of doubts arose about his death. The pistol was used by his co-inspector Munisekar and investigation carried out on this. Media and press earlier revealed that Munisekar would have shot Periyapandiyan. Now, the police department made it clear that the gun shot is from Munisekar but it was mistakenly done. They explain it was done when he tried to save Periyapandiyan from the criminals. The action on Munisekar will be taken after further investigations. While the team went to nab the criminals in burglary case, Thirunelveli district Salaiputhur village sincere police cop was gunned down and four other cops were severely injured. Now police department confirmed it was mistakenly done by the other police Munisekar belong to Kolathur. The group of police team including Madhuravoyal Law and Order inspector Periyapandian were trying to catch the suspects around 2:30 am on Dec 13th. Nathuram from Pali district, Rajasthan and Choudhary from Jodhpur drilled hole on the ceiling of a pawn shop in Kolathur and looted valuables items from the shop. Following this incident, the team surrounded the main accused at Rajasthan and arrested. It was earlier reported, one of the accused blown the inspector Munisekar and he fell down. His pistol was snatched by one of the accused and opened fire on Periyapandian. Tamil Nadu Chief Minister had announced Rs one crore compensation for Periyapandian family following his death. His death had stormed the entire state who had said to be sincere to his works. He joined police force in the year 2000 as sub-inspector and promoted as Inspector in Jan 2014.